Vibration and shock monitoring is an integral part of machine condition monitoring programs. Change in equipment vibration serves as an early warning of decline in operating function and signals the need for maintenance to avoid more serious faults and/or failure. The shocks and normal wear and tear of usage that equipment experiences over time generate changes in vibration pattern. OpsWatch enables real time monitoring of low frequency shock and vibration to identify these changes when they happen. The system provides alerts when vibration is outside of the normal range and has the capability to stream condition-based data through Wi-Fi communication. 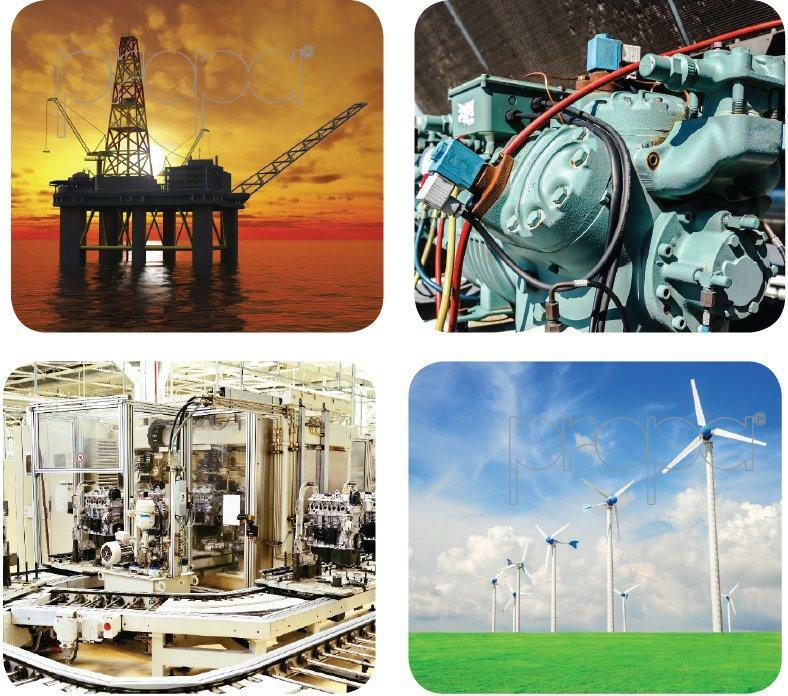 By monitoring equipment during transportation and delivering impact alerts and data, the OpsWatch system provides warning of potential damage to equipment before it is installed. With built-in intelligence, OpsWatch adjusts its setting for transport or stationery operation based on the sensed power source: battery for transport and direct power for stationary monitoring. The impact monitoring profile of a piece of equipment changes when it is being transported as a component versus when it becomes part of a larger operational system. Different impact / vibration levels are of concern based on the particular profiles. 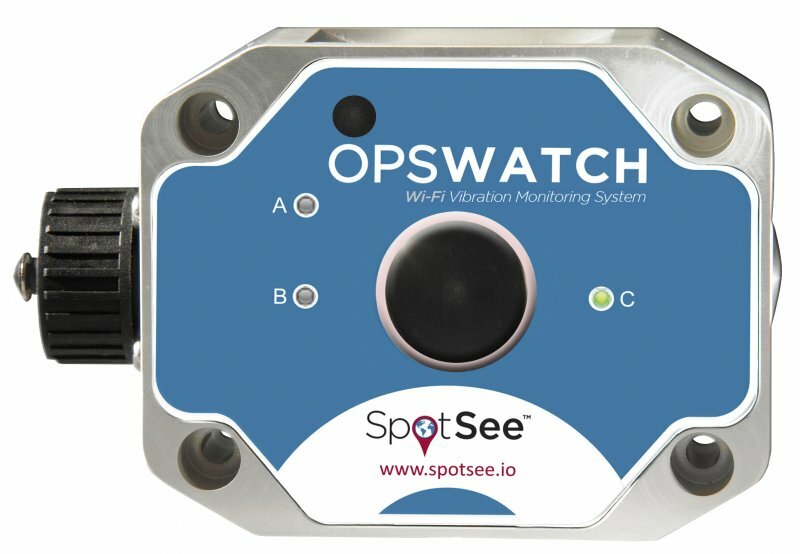 In condition based monitoring mode, OpsWatch transmits impact events and vibration data via Wi-Fi to server-based software and records virtually limitless number of events. Data are collected from a single or multiple OpsWatch units installed in a facility. Event alarms are cleared only after they have been acknowledged by the user. In transport monitoring mode OpsWatch can record up to 870 events and it can set programmable wake-up values to maximize battery life. Data from journey are automatically transferred when OpsWatch is connected to direct power. Protect Equipment in transit and during operation with the only dual mode device in the industry. Prevent Downtime by using the data and alerts provided by the OpsWatch system as part of your preventative maintenance program. Data and real-time alerts streamed through Wi-Fi communication into the easy-to-use condition monitoring software will help you to identify potential equipment faults before they occur. Maximize Utilization by using OpsWatch in stationary mode, monitoring the day to day operation of your equipment. Reduce Cost by using low frequency vibration and shock detection to drive preventative maintenance before expensive repairs or even equipment replacement is required. Impact event max peak values (X, Y, and Z axes) are automatically set to record within each user defined time slot. User sets warning and alarm levels based on the specific application and the product being monitored and custom system integration available upon request.